Human Care Air ambulance Services in Pakistan is all about transporting patients from one place to another by aeroplane or with the help of a helicopter. Human Care air ambulance services include all the facilities which are necessary in an emergency case. The air personnel provide comprehensive emergency and critical care treatment which is also known as a pre-hospital treatment. Human care air ambulance is a coveted brand which is recognised across the globe for their predominant patient transport services in Pakistan, Karachi, Lahore, Islamabad. Human Care Cardiac Ambulance Company is a reputed brand is indomitable in providing scheduled medical transport and rapid response 24/7 to the valuable clients both internationally and domestically. We have our own competent medical crews and in-house aviation. And our prime target is to rescue the patient as fast as possible and providing them proper medical treatment and the finest aeromedical care so that they can reach their home safely. All the medical equipment and facilities in the air. In short, it is a little hospital on which patients can avail every facility related to a hospital. And before taking any patient if needed, our professionals will consult with the general physician of that patient to determine the patient’s fly to fly status. Human care air ambulance is indisputable is providing air rescuer services. It’s a noble profession and the nobility is reflected through our patient-oriented, caregiver inspired services. 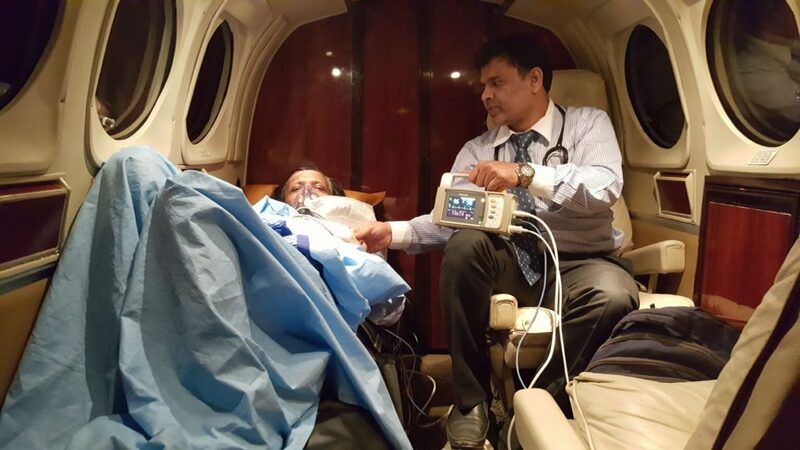 We are providing the services of air Ambulance in Pakistan ( Lahore, Karachi, Peshawar, Islamabad) for years and patient’s satisfaction is our main motto. That is why thousands of patients are associated with us and they extremely satisfied with our care. We have an intense relationship with our patients and their families because some of them have got their lives back with the help of our immediate treatment. Booking the air tickets for the patient and their families. Excellent sitting arrangements for the patients so that they can feel comfortable. As you know ground ambulance services cannot provide you all the facilities which can be provided by air ambulance in Pakistan. You can be stuck in a traffic jam and as a result, you cannot get immediate medical care treatment which is sometimes necessary. So ground level transportation sometimes can endanger someone’s health. Thus before it’s too late, call our air ambulance in Pakistan (Karachi, Lahore Islamabad) and help us to save a valuable life.